Your wedding day is one of the most important days of your life. It is the day you vow to spend the rest of your life with the person you love the most. Not only are you ecstatic about your fairy tale wedding, but all of your loved ones are as well. From your best friends to your parents – they all want the day to be as successful and perfect as you do! Choosing a venue is arguably the toughest decision for some couples when it comes to planning their big day. Silvertip is located in the heart of the Rocky Mountains in Canmore, Alberta. Canmore is a small mountain town with a population of approximately of 13,000, which fluctuates depending on the season. Silvertip is located on the sunny side of Canmore and climbs from an elevation of 1,310 metres (4,300 feet) to 1,560 metres (5,200 feet) and provides an awe-inspiring view of the Bow Valley and Town of Canmore. 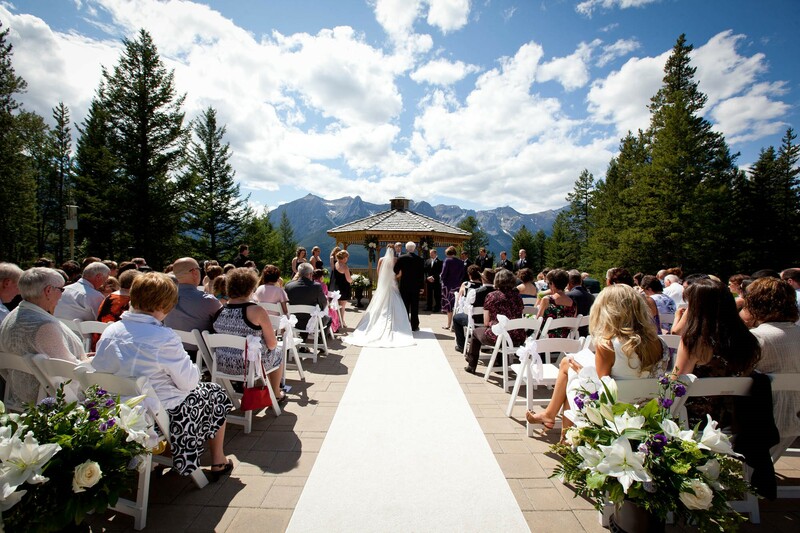 Silvertip is known for it’s breathtaking gazebo ceremony location and rocky mountain backdrop. If you have done some research of Alberta dream wedding locations, this picture might have appeared once or twice. Silvertip strives to customize each and every wedding so it reflects the bride-and-groom-to-be’s wishes. Silvertip’s mission is to take your imagination and make it a reality. The Silvertip Event Managers can help with any questions or inquiries and will support you through the planning process. 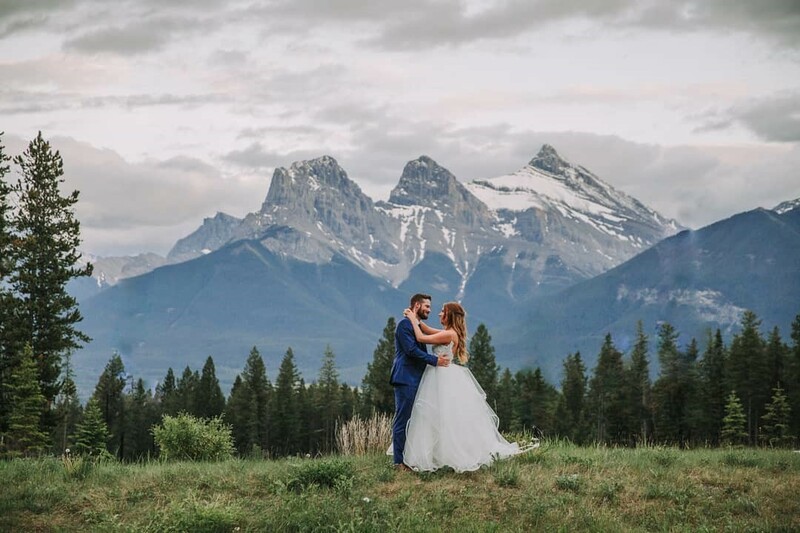 Hear from past Silvertip brides themselves how the Silvertip Event Staff helped complete their special day. I just wanted to say thank you so much for hosting such an incredible event! Everything was perfect from the timely arrival of the sun for the ceremony, and the stunning reception room, to the fantastic service by your staff and delicious food! Your team made the whole event stress-free and so much fun! We appreciate everything you did to help pull it all together!